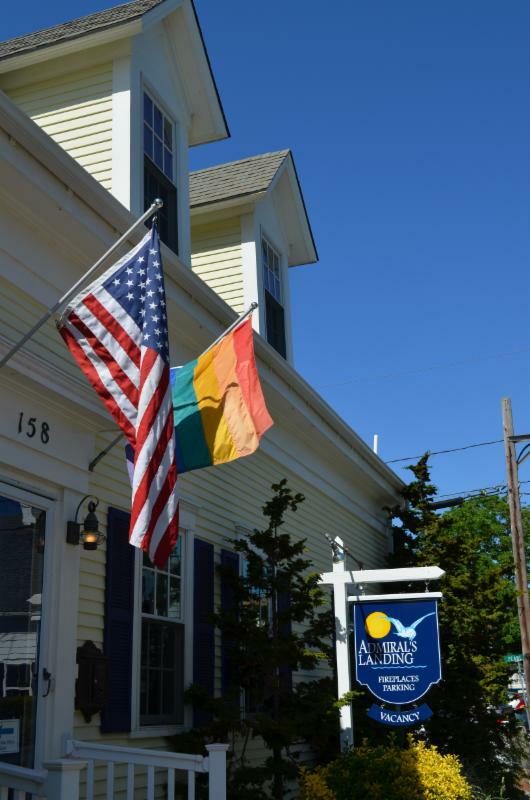 Provincetown’s Admiral’s Landing Bed and Breakfast is a friendly and intimate Inn just one block from Commercial Street and the bay – centrally located at 158 Bradford on the corner of Pearl Street. Our small Inn offers lodging with a wide range of amenities including WiFi, fireplaces in most rooms to make your stay in Ptown memorable. We’re also just around the corner from the Fine Arts Work Center and the thriving gallery district. Thinking about your Ptown Plans? It’s Spring in Ptown — lots of things sprouting up for you! We’ve got theater, film, cooking classes, and the beautiful Cape Cod National Seashore for you to explore now. July Is Your Time for a Ptown Vacation! With many fabulous events and specials available for you, our inns are the right place for your Ptown escape! Check us out — fill out an availability request today! The Women Innkeepers of Provincetown became an official group, inviting new innkeepers to join the ranks and help out with Women’s Week. A few events began that have become mainstays of the week, including the Community Dinner, the Annual Golf Tournament, The Fun Run, and our fabulous Dance Party on the last night of the week.